Cooking is something very personal if you think about it. And it requires a lot of trust. No matter where you grew up or what your cultural background is, we all have comfort foods that make the worst of days better. For me? Well, there are a few. Mamanes, my grandmother, would always make the best scramble eggs. She taught me how to love soups and stews, something that over the years has inspired my culinary adventures. Mamagay (Yes, my grandmother’s name is Gay), my paternal grandmother makes the best biscuits! Her pies and baked goods are famous in Mississippi. And my mom, well, anything she makes is comfort food but her rice is one of kind. Don’t even get me started on her quiche either! So, we all have those “it” foods. 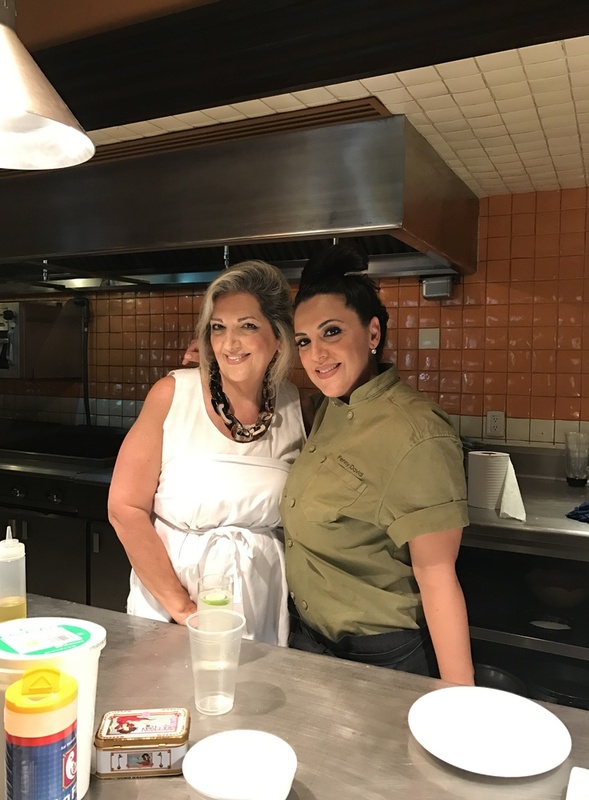 While I was in Villa del Palmar at the Islands of Loreto for Celebrity Chef week, Chef Penny Davidi joined us for dinner one night before the official Chef Week festivities commenced. The conversation weaved through favorite places to eat in LA, what would be on the menu for her dinner, and why she loves visiting Loreto. 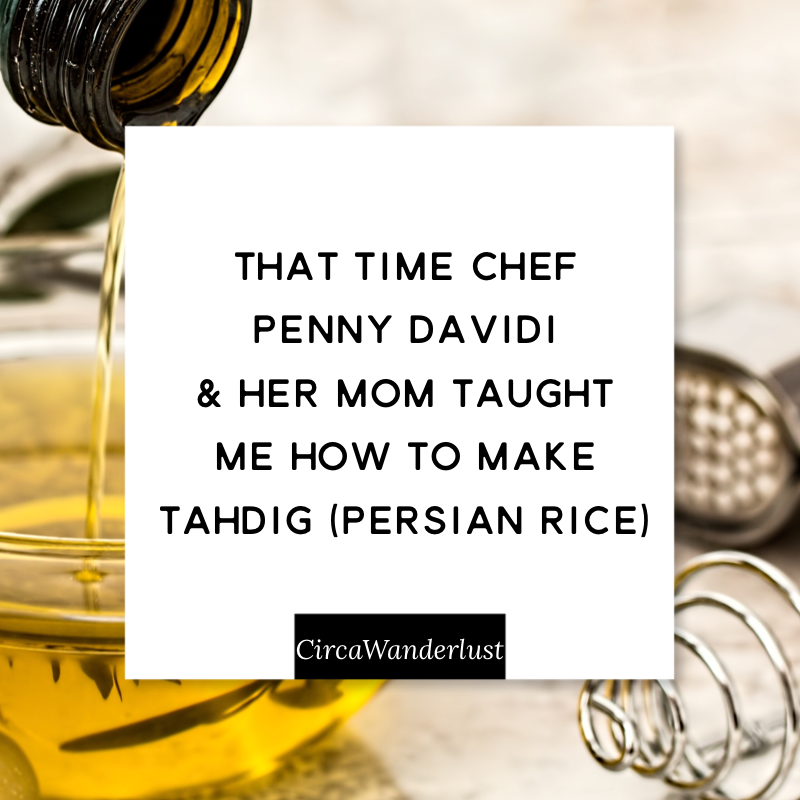 At some point I asked her about her Persian background, specifically if she could give me any tips on making the famous crunchy bottom Persian rice, Tahdig. She started telling me how she makes it, which she learned how to make from her mother who was also joining us for dinner. 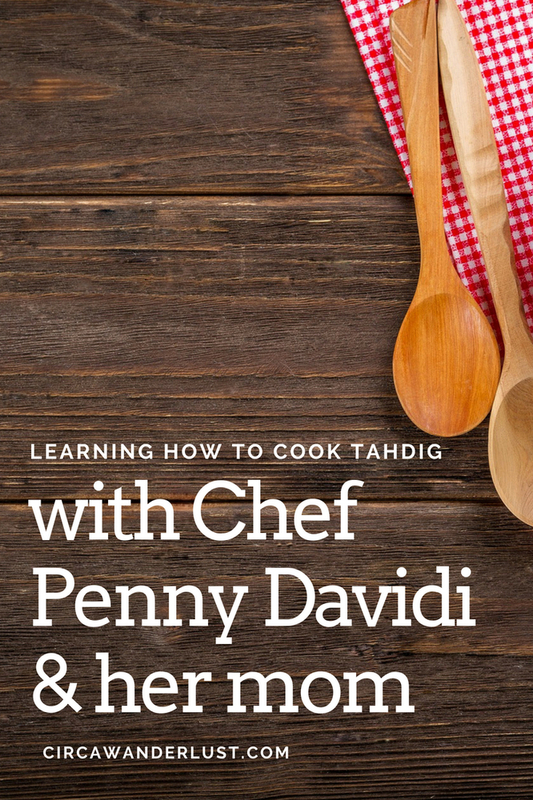 The mother and daughter duo were talking of family recipes and comfort food when Penny suggested we have a class- Her mom would teach us how to make tahdig, if we were up for it. We obviously said yes and we were super excited! What group of food bloggers wouldn’t jump at the opportunity? This post won’t be about the recipe, I have to still transcribe it out (I filmed the whole thing, fear not!) but rather about the chemistry and magic of a mother teaching her daughter family secrets, passing along generations worth of food knowledge. 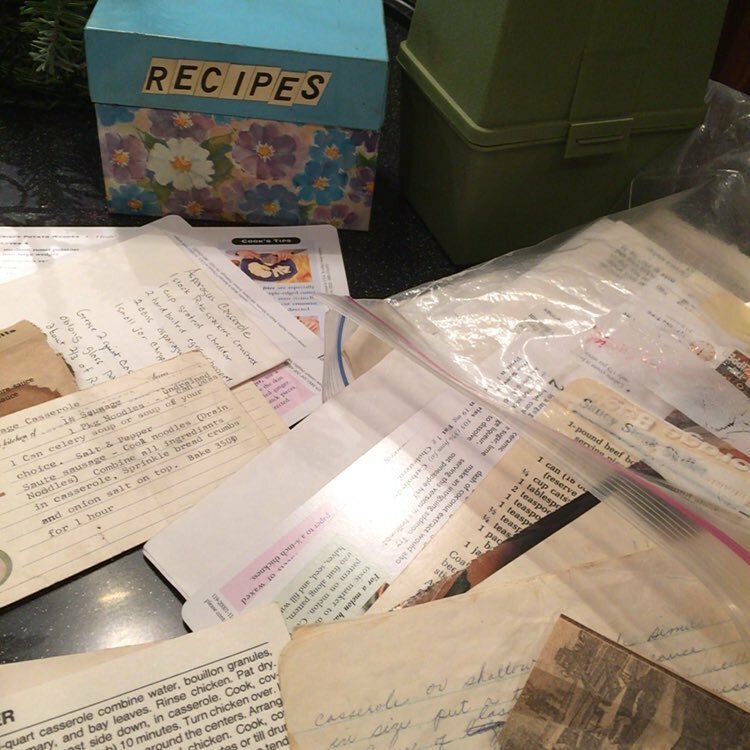 Tim’s grandmother’s recipes I have slowly been copying over. 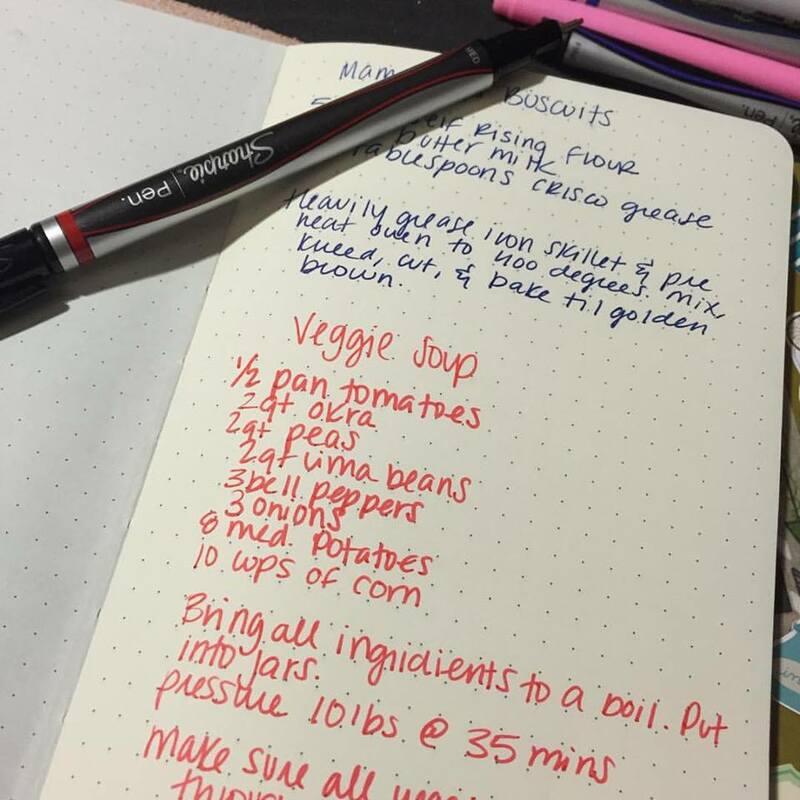 I love the idea of family recipes being passed on from generation to generation. Fast forward to the day of us learning how to make the dish. Penny was getting ready for her dinner later that evening, wearing her chef’s coat and buzzing around the kitchen. Her mom walked us through the ingredients, her tricks, and what she thought made the best rice. 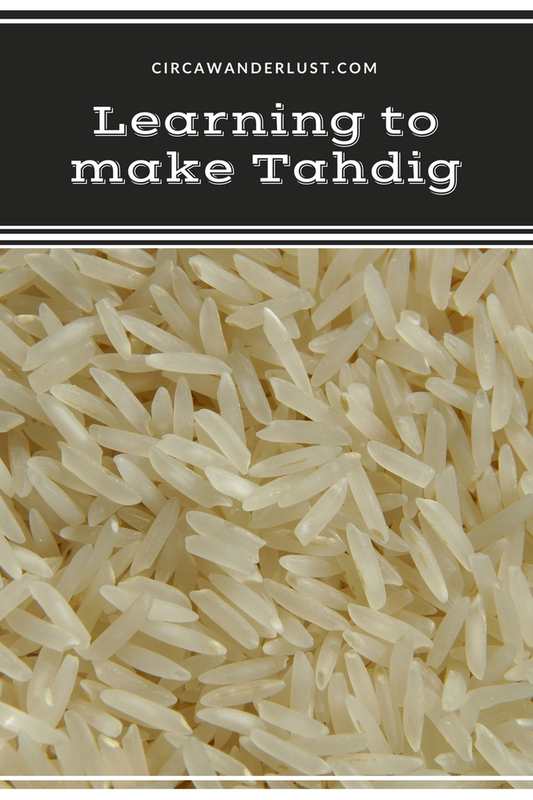 The trick to amazing Persian rice is all in the cooking of the rice. 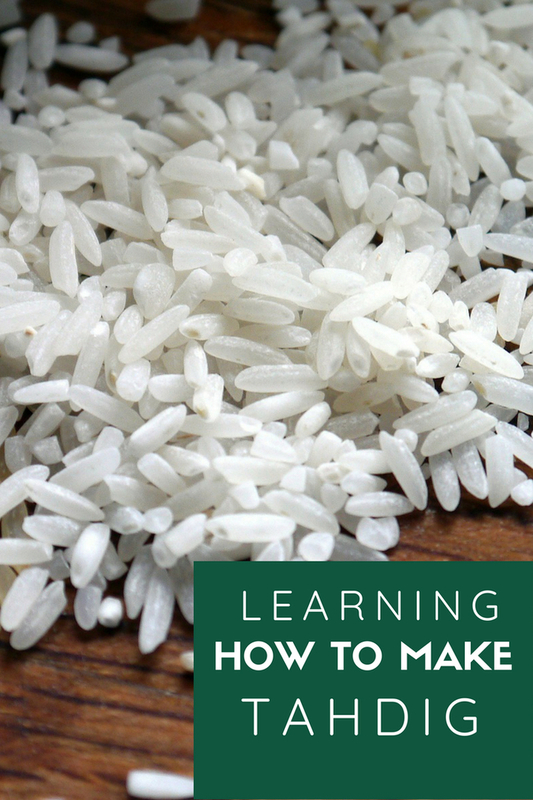 While you cook the rice in water, you don’t want to cook it all the way. The rice is ready when it’s soft but the center is still opaque and not fully cooked. Drain and rinse the rice under cold water to stop the cooking, like you would when you blanch vegetables. Everything she did was organic, not measured or precise, and exactly like the special women in my life cooked. There was no exact measuring, it was a feeling. And it didn’t feel like a lesson. It felt like we were catching up over a kitchen table, exchanging good conversation over even better food. I may not have known what shows these chefs won or what their culinary specialty was, but this experience is by far one of the coolest on the trip for me. I am not a food writer by any means like most of my fellow bloggers were. And I think the cultural aspect of this is what I loved. Watching Penny talk about saffron, growing up Persian, and the culutral importance of the dish. Tiny House Movement: What Is The Fuss All About?